Without proper watering, New York City's hot summers can pose a threat to your garden's health. 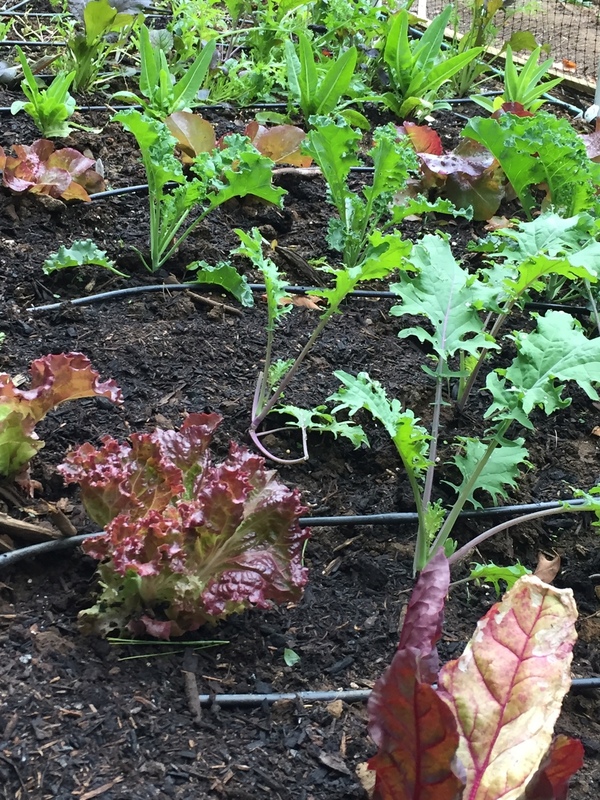 Our irrigation division is highly experienced and proficient in drip irrigation and subterranean watering systems for Manhattan rooftops, flowering terraces, urban vegetable gardens and everything in-between. 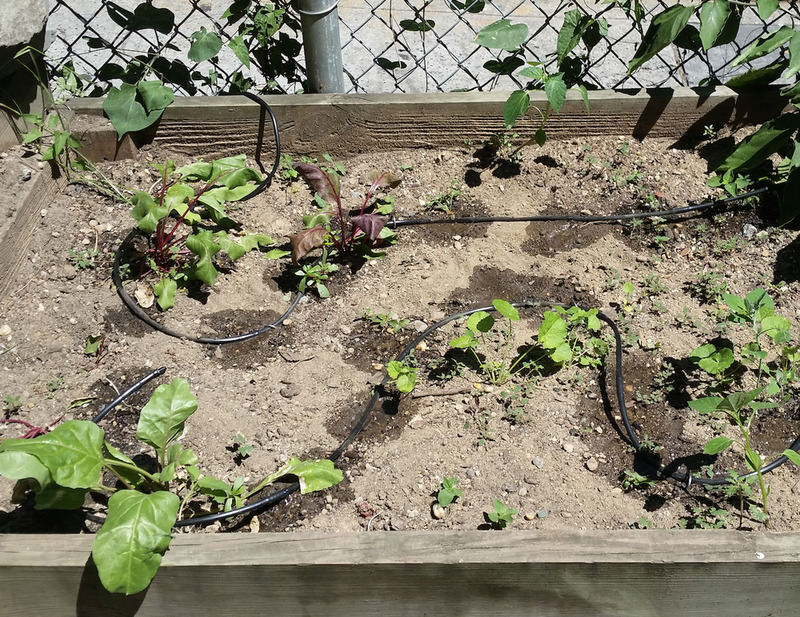 An irrigation system is an important feature of any New York City rooftop, terrace or backyard. Not only will it make your role as a homeowner less demanding, it will serve as the backbone for a strong and healthy garden that will perform for many years. During the summer months in New York City, weather can test any perennial, annual, tree or shrub. With an automatic drip irrigation system, your garden will be watered the right amount at the best times of day. Our irrigation technicians are capable of laying out a functional system and setting the dispensing times properly depending on the time of year and your location. We pride ourselves on our design, installation and long-lasting lifespans of our irrigation projects. Metropolitan Garden Design is a great resource for any outdoor space owner of New York City. We understand that New Yorkers are busy by nature and that there is a need for reliable watering during the summer months. Our landscape design and irrigation company is also here to work with the trade; whether it be landscape architects or other garden designers. We have years of experience with manhattan irrigation projects. We can provide a high quality irrigation system for any rooftop, terrace, backyard or vegetable garden. Our keys to a successful irrigation watering system are that it is out of sight, reliable, efficient and affordable. We can often hide your drip irrigation lines underneath pavers so that you don't have to see them. We keep our truck stocked with all types of drip irrigation equipment so that we can handle repairs, upgrades, and new systems on the spot and in a timely manner. Depending on your property size, we can likely have your irrigation system up and running in just one day. We are here to help you throughout the seasons with your irrigation system. We provide an affordable spring irrigation startup and a reliable winterization service where we blow out your lines at the end of the season. Unlike other companies, Metropolitan Garden Design will take the time to properly blow out your irrigation system with an air compressor, resulting in fewer repairs come spring time and longer functionality. We have installed many of our systems all throughout New York City, from Manhattan rooftop's to Brooklyn's backyards. We are confident in our trade and look forward to assisting you with your watering needs. Contact us to discuss your irrigation system, we have all the equipment for efficient service and installations.